Invitation to 30th Year Anniversary Book Launch | Coffs Harbour Writers' Group Inc.
Members of the Coffs Harbour Writers’ Group have reason to celebrate. A book of short stories and poems by 22 of its members has just been published. And it has a fabulous picture of the Coffs Harbour marina on the cover taken by avid photographer and member, Roger Harris. 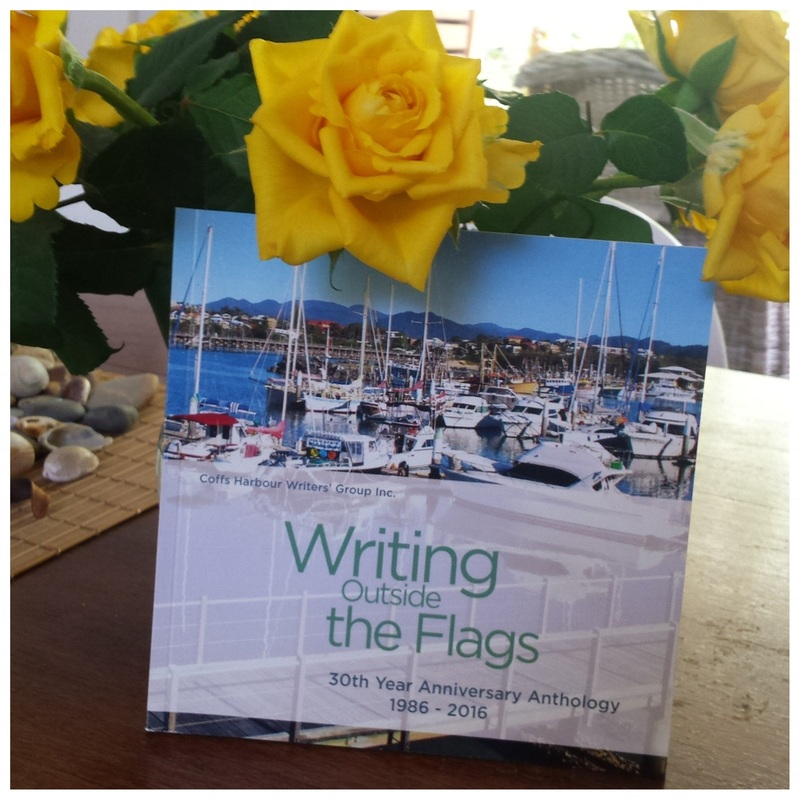 The Anthology of stories, entitled Writing Outside the Flags, is commemorating thirty years of continuous operation of the Writers’ Group, perhaps the oldest in NSW. Most of the pieces include the word ‘beach’ to mark the location but they range from stories of first dips in the sea, sand-castles and mysterious cottages in the woods to concepts of ‘freedom’ and saving the world. There’s also a glimpse of World War II coming to our town and a mysterious dragon-filled dream. ‘Why I Hate Bananas’ is probably the catchiest title but there is something in the collection for everyone. The Writers’ Group will be launching the book on Friday 18 November from 3 pm to 5 pm at the Harry Bailey Memorial Library in Coffs Harbour and light refreshments will be served. Everyone is welcome. Come along and hear the stories and find out what the Coffs Harbour Writers’ Group has to offer. More information on 041 266 8315.